Welcome Really Reasonable Ribbon bloggers and I am so excited to show you two absolutely gorgeous ribbons from the January Ribbon Club Assortment called Sweetheart Collection (shown at the end) from Really Reasonable Ribbon. The Hot Pink Taffeta ribbon is stunning with this card. Of course, I couldn't have made this bow without the Zutter Bow-It-All V2. 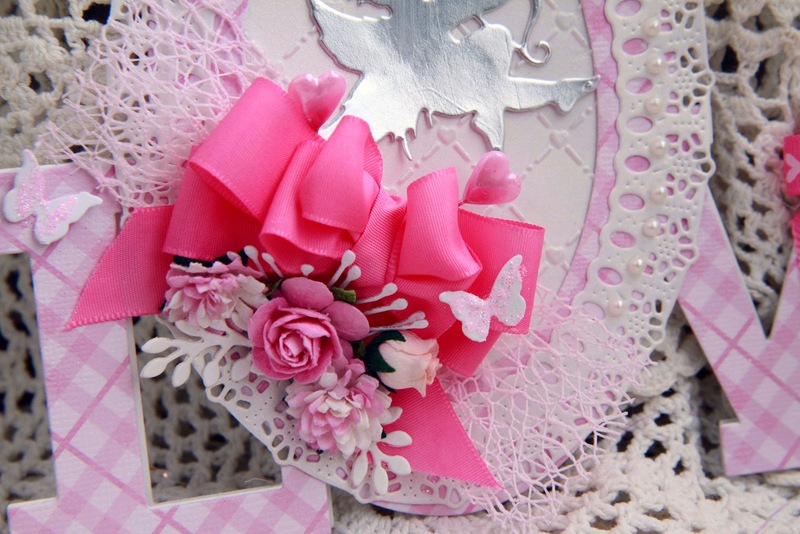 Really Reasonable Ribbon also offers the gorgeous Wild Orchid Craft flowers at a very reasonable price. 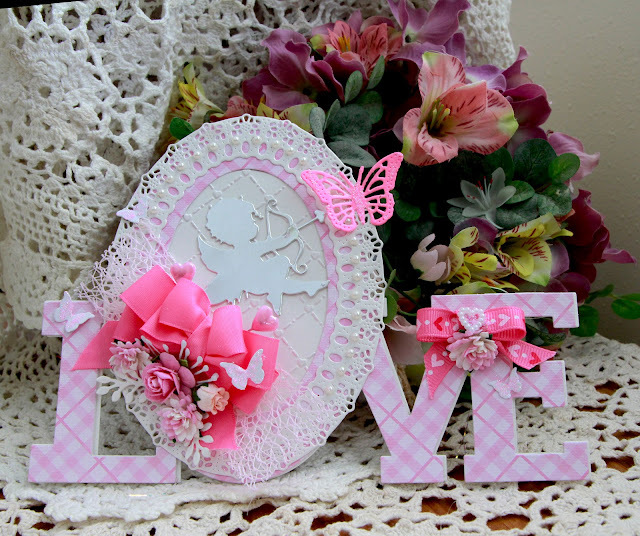 I used 1" Scor-Tape from Really Reasonable Ribbon for the bow and flowers and 1/2" Scor-Tape for the Hearts in Line Pink Grosgrain Ribbon with the pearl heart. Behind the bow and flowers is the 1.5" pink netting. I have been using different colors of netting behind my bows since it gives a delicate look to the bow and flowers. If you haven't started using netting, start with the white and after you fall in love with it, Really Reasonable Ribbon offers a variety of gorgeous colors in the netting. This is the January Ribbon Club Assortment Sweetheart Collection. 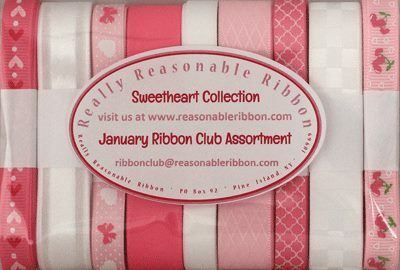 If you would like to have a wonderful assortment of ribbons sent to you automatically each month, just join the Really Reasonable Ribbon Club! This makes a perfect gift anytime for your friends and family as well. 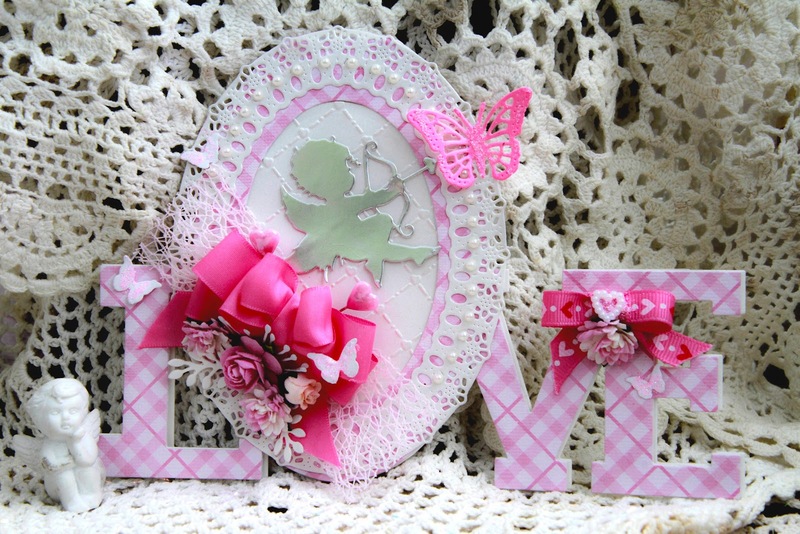 Keep visiting the Really Reasonable Ribbon blog to continue to see the wonderful projects and cards that Really Reasonable Ribbon Designers have for you and stay with us for our present challenge that started on January 8th. Can't wait to see what you have created!